Welcome to EBAAS 2018, the combined 32nd European Association for American Studies and 63rd British Association for American Studies Conference. On 4-7 April 2018, EBAAS will bring together scholars across the fields of American Studies, History, Literature, Film, Media and Cultural Studies, Geography, Politics, and International Relations for four packed days of talks, discussions, networking, and cultural events. This unique collaboration between EAAS and BAAS looks set to be the largest American Studies conference ever held in Europe. The featured topics of this year’s conference couldn’t be more timely. On the 50th anniversary of the turbulent events of 1968 – including the assassination of Martin Luther King and the eruption of anti-war and student protests in the US, the UK, and across the world – EBAAS 2018 will bring together scholars at all career stages to present their work, with particular emphasis on themes related to Environment, Place and Protest. At a moment in which we are witnessing the eruption of a new wave of protests targeting questions of environment, economics, and the changing relationships between the US, UK, and Europe, this conference promises to provide important perspectives on the social, historical, political, and cultural roots and routes of our current moment, and its potential futures. In addition to our panel presentations, we are also thrilled to welcome our plenary lecturers: Prof. Bettye Collier-Thomas (Temple University, Philadelphia), Prof. Jo Gill (Exeter), and Prof. M. Giulia Fabi (University of Ferrara). EBAAS 2018 will also provide participants with exciting opportunities to engage with the ‘place’ of the conference itself. 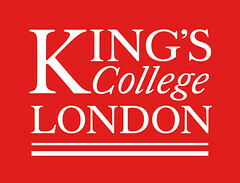 Set across three leading academic and cultural institutions at the heart of London – King’s College London, University College London, and the Eccles Centre for American Studies at the British Library – EBAAS 2018 will give participants a chance to explore some of London’s breathtaking sites, whether that be a walk over the Thames or through the historical neighbourhood of Bloomsbury, a tour of the world-renowned British Library, a pint at one of the city’s historical pubs, or an opportunity to experience London’s famous theatre scene.